On the heels of a long winter and a stormy spring, take this weekend to revive outdoor living areas before your first soiree of the summer season. Among the true joys of summer is the opportunity to spend more time outside relaxing, entertaining, and playing. But you’ll have less time for all of these seasonal pleasures if your yard isn’t quite summer-ready. Here are five simple things you can do this weekend to revive outdoor living areas in time for your backyard bash! Before settling comfortably into an Adirondack chair to enjoy your summer soiree, consider giving your deck some TLC. If it has wood construction, sweep the surface clean and see if the boards need sealing or staining, or both. If water beads up on the wood, the sealer is fine. Otherwise, seal the deck now and rest comfortably knowing that your deck is in good shape for the traffic and heat it will see in the months ahead. 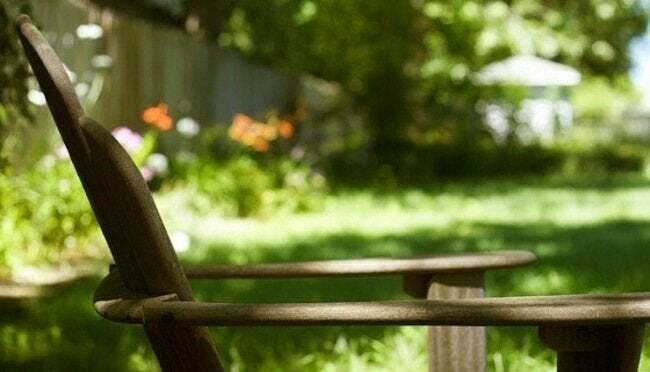 You’ll be a poor host—and a regretful neighbor—if you have outdoor furniture that is rusted, covered in mildew, or in need of repair when guests arrive for a backyard bash. You can paint metal and wood furniture easily enough, and tightening screws on wobbly legs takes no time at all. Proper care of outdoor furniture not only improves its appearance, but also promotes its longevity. Few things halt summertime festivities like an unexpected swarm. When dealing with outdoor pests, the best defense is a little offense. Since outdoor entertaining often extends into the evening hours, be sure you have sufficient lighting—for mood and safety. Sure, you can buy and install landscape lighting, but you can also add light and charm with homemade luminaries. 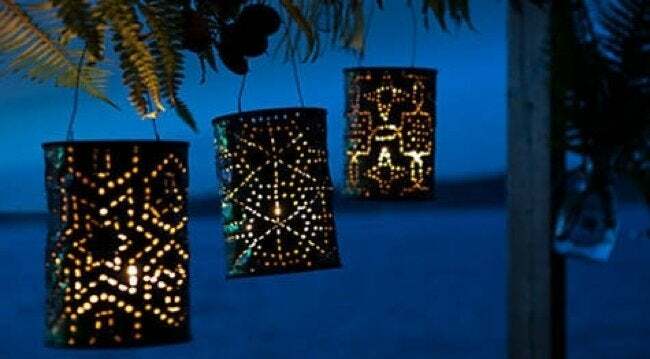 Whether hanging from tree limbs or sitting along the length of your deck rail, easy DIY tin can lanterns illuminate outdoor living areas in down-to-earth yet enchanting style. If you’re getting ready to play host for a neighborhood barbecue, apply a critical eye and a caring hand to your grill. 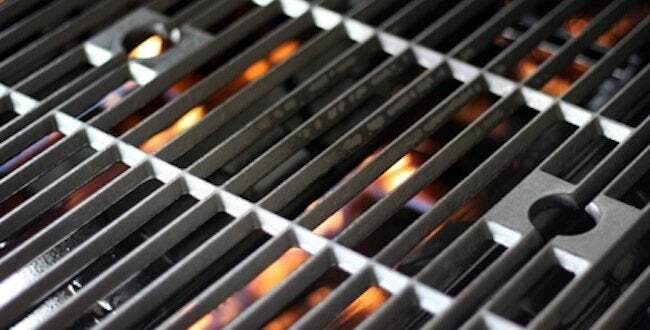 Remember, regular maintenance is the key to extending the useful years of your trusty, charbroiling party-pleaser!